This was definitely a major turning point for me and my events. This free party celebrating the first Grammy nomination of The Foreign Exchange yielded an overwhelming response. 1200 RSVPs and a line around the block cemented my place among LA's recognized promoters and opened up plenty of new opportunities for me. 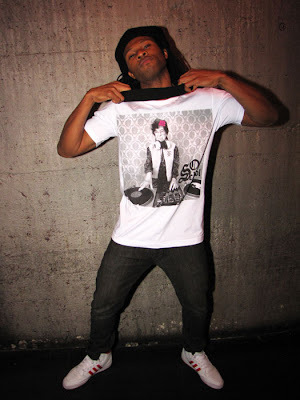 Thank God for Ian, the very first intern for Nu-Soul Magazine. His hard work and dedication helped us double our traffic numbers in just a few short months. From the daily postings to the assistance at my numerous events, Ian was an invaluable addition to my world. I celebrated my 32nd birthday with an all night raver house party complete with glow sticks, candy jewelry and all vinyl dj sets! I embarked on my first mini-tour in May, taking my signature monthly event Strictly Social to 3 cities in 3 weeks. 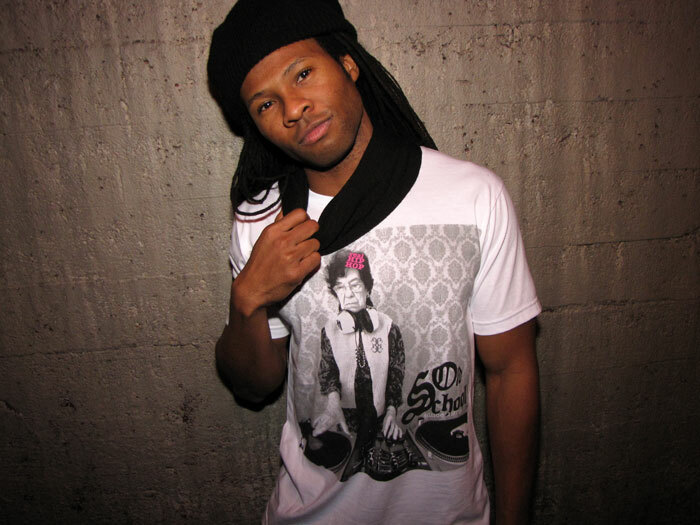 With a solid lineup of artists that included Erik Rico, Afta-1, Havana, and Iman Williams not to mention the coming out party of Mark de Clive-Lowe and Sy Smith, the month of May saw Strictly Social take over San Francisco, LA and San Diego! I have attended many a dance music festival as both a fan and a journalist but none have compared to EDC in 2010. The epic scale of the event was outmatched only by the epic scale of my experience. The crew at Insomniac and MSO PR truly took care of media with rapid entrance through the artist area, a media sky box with supplies and a sick view, and full backstage access to mix and mingle with the talent. All my years of raving paid off in a big way! The most fun I have ever had in Vegas and I was working! A truly great group of men from all parts of the world enjoying one of the craziest weekends around. This was an intimate affair that provided something new and different each day and plenty of eye candy! Robyn was one of the most talked about artists of the year and this show with Kelis was the best I attended all year. I danced, I sang, I gushed! The September 2010 edition of Strictly Social seemed to be blessed by the gods or something. After booking Sa-Ra as headliners the blessings kept coming with Muhsinah jumping on at the last minute and Hennessy providing an open bar for the first hour of the night. Plus everyone discovered the remarkable talents of Grillade. 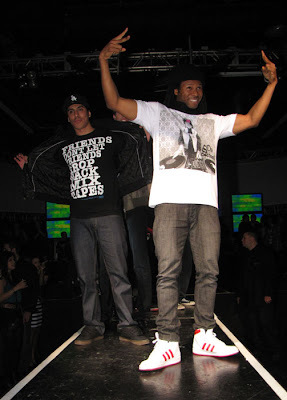 The night broke all of our attendance records and set me up for some big things in 2011. 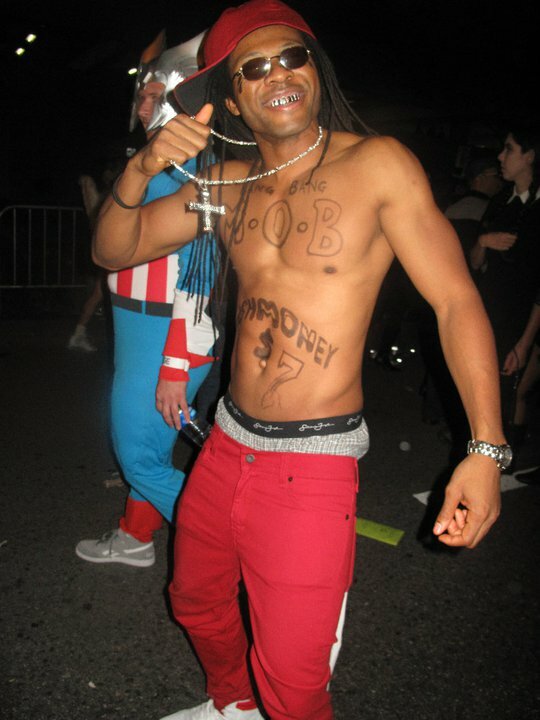 After enduring so many compliments/insults from kids saying I looked like Lil Wayne, I embraced the absurdity of it all and dressed up as Weezy and scored my most popular costume ever. Drunken antics ensued. The most rewarding thing about throwing events is that I get to take something that is very personal to me and share it with the world. 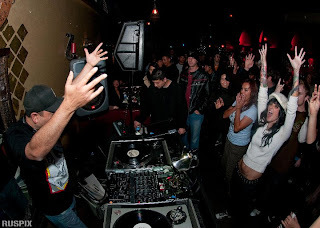 It warms my heart to know that I have helped keep the fire in LA's breakbeat scene and this Thanksgiving Eve party with none other than Simply Jeff providing an old school set, was the biggest and best I put together all year! So that was my 2010! It was a major blast where all my hard work started to pay off in ways that I could have never expected. I am ready for the new challenges of 2011. Get ready! Holiday shopping got you down? 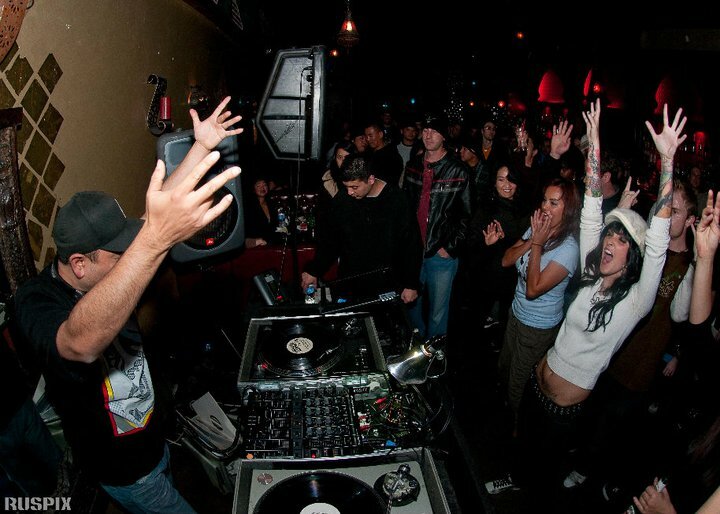 The come celebrate with the the BROKE crew for another FREE evening of Breakbeat madness! When you're BROKE AS F**K, come and get some free BEATS! BROKE AS F**K is a monthly party featuring the best in Breakbeat, Booty, and Bass! NOMAD aka Normysoul aka ME! 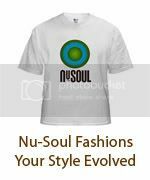 RSVP to events@nu-soulmag.com to get on the list! My Review of Robyn's Final Body Talk! Robyn fulfills her promise and drops the final installment of her 2010 Body Talk series of albums. 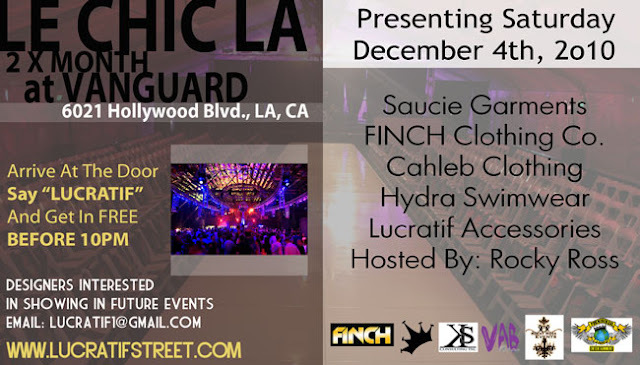 I hit the runway this past weekend as a part of Lucratif's fashion show at Hollywood mega club The Vanguard. 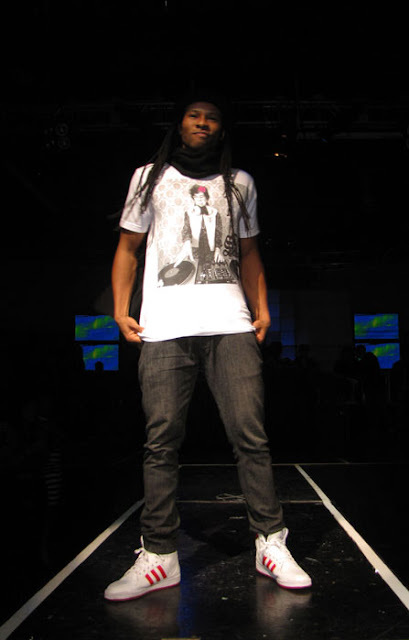 I got to walk in gear from Caleb Clothing, a very dope hip-hop inspired t-shirt company, that I have worked with on a Nu-Soul event in the past. Check out the pics then show some love to Lucratif and Caleb Clothing.